Cape Town is the second-most populous city in South Africa and its most popular destination for tourists. It is especially known for its beautiful beaches, Table Mountain, Lion’s Head, Robben Island and the Cape Peninsula with famous Cape Point. Because of its rich and diverse history, it is also one of the most multicultural cities in the world. Cape Town is also known as the ‘Mother City’, but for those living on the streets the perceptions are not the same. What inspired Tresor Ilunga Mukuna to make his first documentary? When I arrived for the first time in South Africa as a refugee I couldn’t speak English. I started teaching myself reading newspapers, spending time at the library, working as a security guard in Durban, but I was still having a dream of making films, so I moved to Cape Town, leaving my 2 sisters behind in Durban. For some days, I have been in the same situation as the homeless in Cape Town: I had to sleep outside on the streets, sometimes in a car of a Congolese pastor. Also after reading books in the library, I would check when they are going to close, then I checked my time and I would be waiting 15 minutes before the library closed, then I went to the toilet to spent the night there till the next day. So I experienced that pain of being homeless myself. After all these challenges, I have been invited to stay with an amazing couple Elizabeth Robertson Campbell and James Campbell, which I got to know via a group of Christians. They have accepted me in their family like their own son and support me a lot. Then I started trying to get a scholarship for film making to realize my dream, which I still couldn´t get yet. But what brought me one step closer to my dream was the great opportunity of being an intern at Visual Impact. I worked there very hard for the whole year 2010. I heard about a short film competition with the topic ´My Town´ and I decided last year in July to make a short documentary about the homeless in Cape Town. 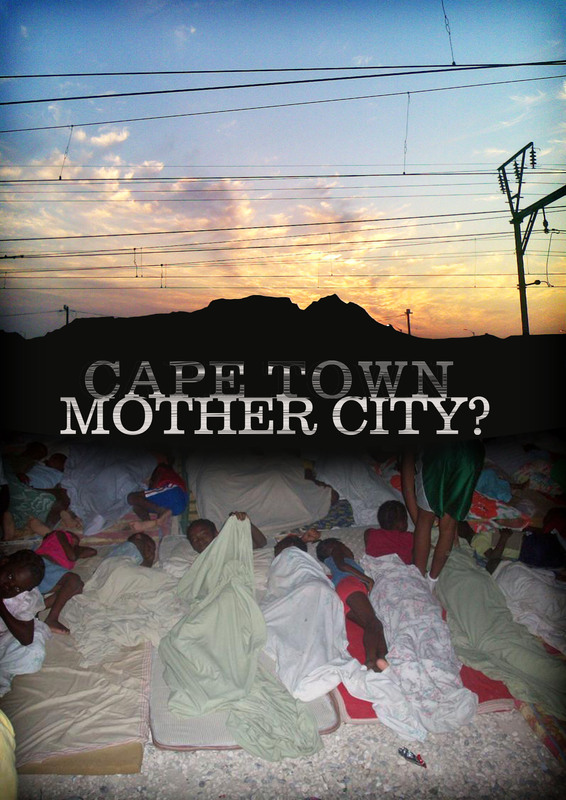 The concept of my 36 minutes short documentary ”Cape Town – Mother City?” was inspired by my girlfriend Dayana Dreke, who works in the field of community and child development, and who knows some street children organisation and told me about a young American social worker who spent 16 nights with the homeless in Cape Town. I met this guy called Ryan Brown Dalton and we shared our experiences and realised that Cape Town is not a ´mother city´ for the ones living on the streets. A month before I start shooting my documentary, I decided to first spent time with the homeless and street children in Cape Town asking them about their experience living on the streets and they all felt that for them it´s not a ´mother city´. Then I wrote my concept and presented it to the Visual Impact director Mr Marius Van Straaten, who decided to sponsor the film by borrowing us their professional equipment and assist with the post-production process. For the difficult task of editing, we were very happy to have the support of the professional and experienced editor Liani Van Straaten , who helped us a lot with her constructive feedback!